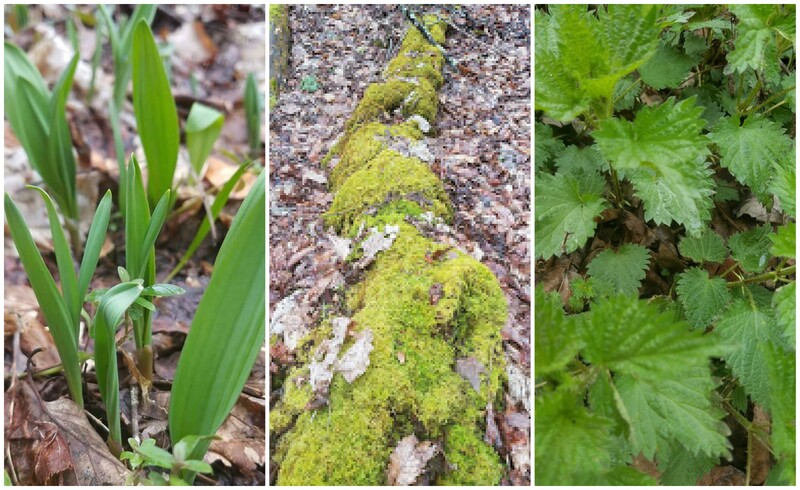 I have been outside in the garden the last few days, Spring is in the air and apparent everywhere. Daffodils, wild hyacinths, narcissus are just a few of the flowers in my garden. 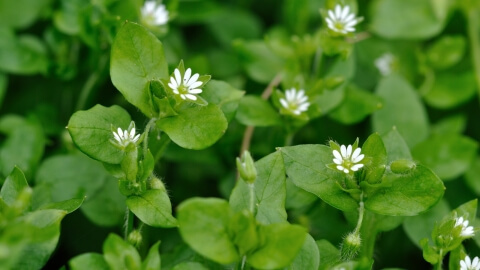 Abundant in and around all of the flowers is chickweed. This luscious, green plant with sweet little blue flowers is one that literally “grows like a weed.” It is a tasty addition to any salad or added as a “green” to a smoothie. I grabbed up a bunch and decided to make a quick cream. My skin has been a little dry so why not? Off to the kitchen. Making a cream is really quite simple and you will generally have everything you need. I will use my osterizer blender, with a narrow mouth mason jar. The blender blade to any Oster blender will fit right on to a narrow mouth mason jar of any size. This is a great way to blend, chop and grind herb leaf and root. · Place about 1 cup of fresh chickweed in a 1-quart mason jar. · Screw blender blade on to the jar – grind at a high speed. · Blend SLOWLY on your blender. Removing from time to time to shake or stir with a fork or chopstick. · The cream will start to “choke” the blender. Stir and continue blending until well blended and emulsified. · Because there is not beeswax this will remain somewhat “thin.” More like a lotion than a firmer cream.